Netflix binging, we’ve all been there. One hour you’re pressing play on a TV show just to have it on in the background and suddenly you’ve finished a season in the blink of an eye. Here are the secrets behind Netflix’s incredibly successful UX design that keep us all coming back. It’s a line we’ve heard time and time again but it’s what Netflix UX is inherently based on. Through an easy-to-use interface, Netflix understands that when mindlessly scrolling through TV shows and movies it’s exactly that, mindless. It extends to the golden rule of interface design, don’t make me think too hard. What keeps Netflix successful isn’t just selling subscriptions, but selling experiences through tailored entertainment choices. If you’ve been on Netflix recently, you’ve probably noticed your homepage may look different compared to your friends and family. That’s entirely intentional. 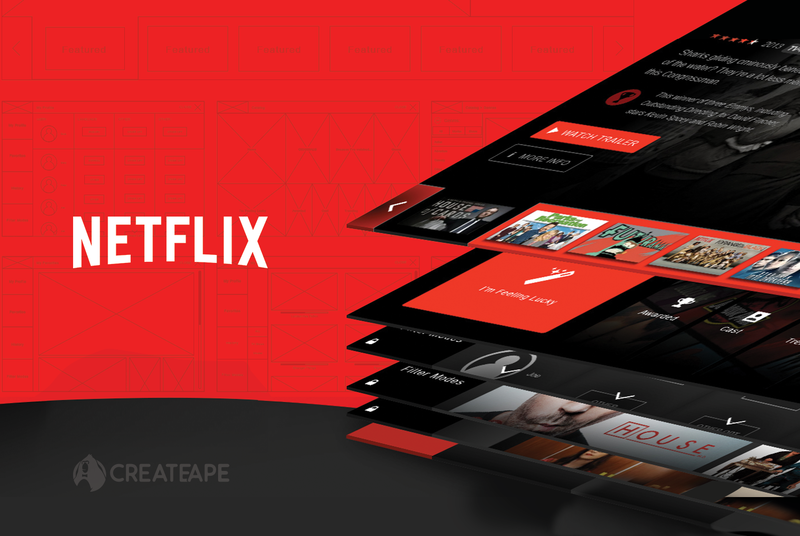 Netflix’s team has utilized the importance of user experience and transformed their interface to reflect personalized navigation. Most wouldn’t call Netflix a user experience focused company, but it’s been at the forefront of their sales and decision making. The design functions have gone beyond traditional browsing and are becoming increasingly personalized. No longer are customers reliant on a title and short blurb about the movie, but hovering over an image will play a short clip that illustrates the emotional gist of the movie without revealing the entire plot. You may be thinking well yeah, isn’t that just a trailer? Not entirely. These clips are custom clips edited by Netflix, with curated snippets and music that suggests a certain mood or genre, it helps convey an experience to the user. Within a few seconds of just hovering over a show or movie, viewers know exactly what they’re getting. In a world of big data, Netflix utilizes its data to create a better experience for the user by predicting viewing habits. It’s no secret that Netflix algorithms are heavily data driven, knowing when and where we start a show, when we pause, rewind; all these factors contributing to how they shape our time on Netflix. Instead of sorting through thousands of movies or shows you’ll just never have an inkling to watch, Netflix streamlines the filtering and suggests shows that are user compatible based on prior selections. Founded in 1997, Netflix skyrocket to over 70 million users lies in its users experience. They have created a friendly relationship with the user that says, “I know you’ll be back, see you next time” without any repercussions. Not only have they managed to survive in the digital age, but they’ve redefined the way we view movie watching and the traditional “television” program, and that’s exactly what keeps us coming back.